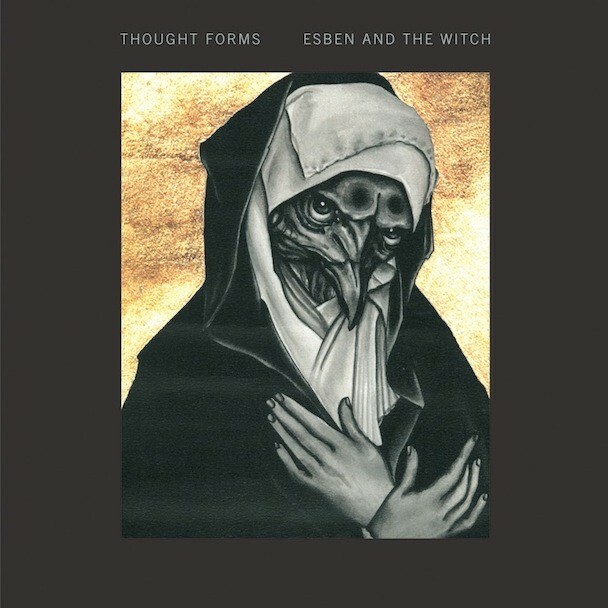 It’s been a little while since we’ve heard from the doomy UK rock band Esben And The Witch. But they’ll be coming back later this year with a split LP (that’s the awesome cover art above) with Thought Forms, who make an equally dark match. Esben’s “No Dog” comes in with a war-drum attack before bottoming out into atmospheric tension, gradually building its way back to (and surpassing) the power of its intro. Thought Forms’ offering, “Sound Of Violence,” bounces between crisp guitar riffs and heavy sections of distortion. Listening to both back to back makes it clear how well the bands work together. Check them both out below and look for the split later this year. The split is due 4/7 via Invada Records.